Charming with Essential Elegance. The Vigillini Natural Stone Mosaic Vessel-Sink, radiates tranquility with deep serenity in motion. The tranquil atmosphere of the majestic islands, where this natural stone is cultivated from, are monuments to a serene utopia, a path leading to peace and inward calm. The Vigillini Natural Stone Mosaic Vessel-Sink is a timeless creative expression and evokes a strong presence with its beauty and character. 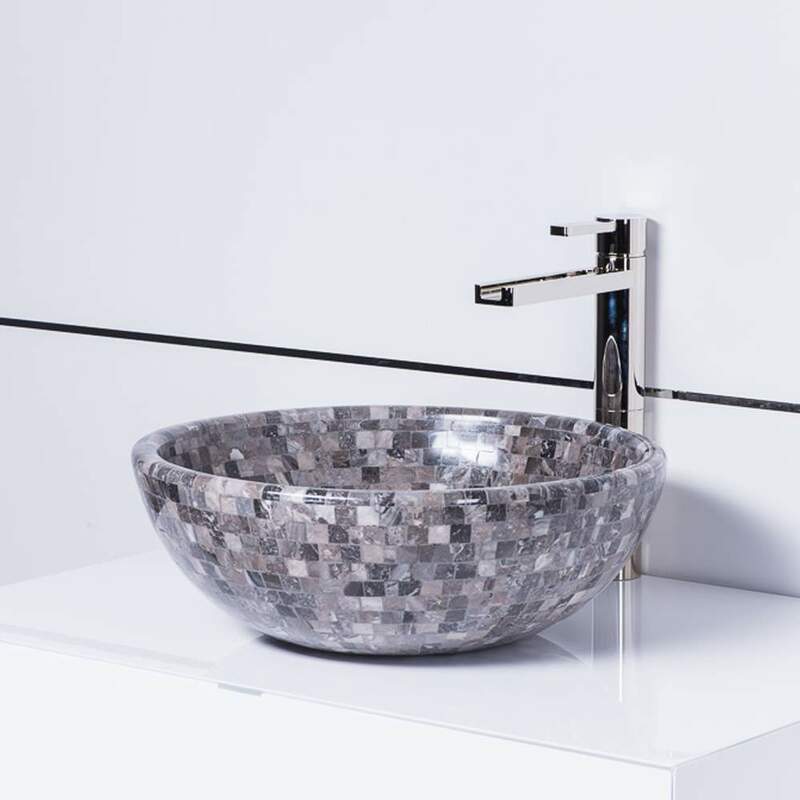 Time-honored and inspired to fit the Balinese design style, the Koh Samui Natural Stone vessel-sink, will also favor a contemporary or transitional design - perfectly. Made from a natural marble stone material enhanced with its natural colors The Vigillini Natural Stone Mosaic Vessel-Sink is available in designer inspired colors: Grey-Taupe and Sandstone Beige. This luxury vessel-sink exhibits the Balinese style of an exotic island synonymous with sophistication to your bath or powder room. Countertop installation ensures this sink will stand out in your bathroom as a striking focal point. Natural Stone is one of the most authentic and durable design materials, which minimizes the need for any special maintenance. Furthermore, Natural Stone is scratch resistant making it practical for almost any application.